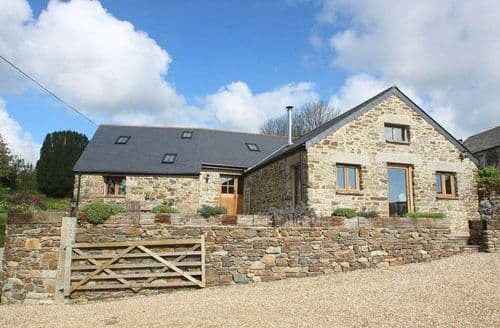 What our customers are saying about our Holiday Cottages In Tywardreath And Par To Rent. 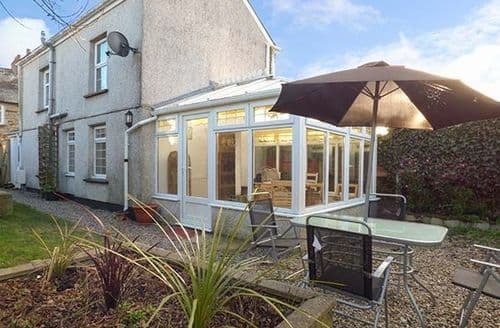 "Great location for touring southern Cornwall, comfortable beds, spacious twin room and kitchen, lovely dining room, great storage in twin room. However, we did have to contact the owner regarding the cleanliness of the bungalow. On arrival we discovered food splattered all over the inside of the microwave, fridge was filthy inside, the oven was filthy inside and nearly all the kitchen utensils/jug/bowls/saucepans/oven dishes etc etc were dirty and we needed to wash them before we could use them. The general cleanliness of the rest of the bungalow was just about ok... but certainly could not be described as very clean, we found cold chips under my sons' bed, the bathroom had clearly been given a 'lick and a promise', and in general wasn't what i'd expect to walk into after paying over a thousand pound for a weeks stay. on Arrival, whilst I unpacked my husband cleaned out the microwave and fridge - we drew the line at the oven! We accept this wasn't the owners fault as it would have been the previous occupants who clearly didn't know how to wash up and clean after themselves, and she did apologize and explain she'd been having issues with her cleaner, but we really feel we shouldn't have had to clean/wash facilities before we could use them. Also the shower curtain pole kept falling down - once on my head and once on my sons head whilst showering. It is not fixed to the wall permanently, but fixed with spring action and pressure. Whilst we took great care not to pull on the shower curtain, inevitably it still came down at least 6 times during our stay, the bath was only big enough for my daughter to comfortably bath in as it's quite small so getting washed etc after beach days was tricky. The heat alarm is placed very close to oven in the kitchen which meant every time you open the oven door it went off... and continued to go off for ages despite waving t-towels under neath it and the back door and kitchen window being open, not to mention it smoked a lot when used due to it not being cleaned so cooking wasn't really an option, because of this we ended up eating out more than we ate in, increasing our spending considerably! If it hadn't been for the poor cleanliness of the kitchen and it's appliances and utensils we would have been very happy with our stay. The bungalow is well situated, comfortable and well equipped. We would however make suggestions of fixing the shower curtain pole, installing a dishwasher to ensure all crockery and cutlery can be washed well between rentals, and a tumble dryer would have been very useful for getting clothes/beach towels etc dry when weather not great, I struggled to get beach towels dry between use, due to the weather in Cornwall there are often showers, low cloud and damp atmosphere so even putting towels out on the line didn't dry them." 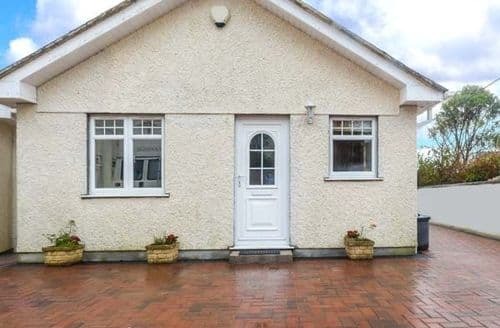 "However, we did have to contact the owner regarding the cleanliness of the bungalow. On arrival we discovered food splattered all over the inside of the microwave, fridge was filthy inside, the oven was filthy inside and nearly all the kitchen utensils/jug/bowls/saucepans/oven dishes etc etc were dirty and we needed to wash them before we could use them. The general cleanliness of the rest of the bungalow was just about ok... but certainly could not be described as very clean, we found cold chips under my sons' bed, the bathroom had clearly been given a 'lick and a promise', and in general wasn't what i'd expect to walk into after paying over a thousand pound for a weeks stay. on Arrival, whilst I unpacked my husband cleaned out the microwave and fridge - we drew the line at the oven! We accept this wasn't the owners fault as it would have been the previous occupants who clearly didn't know how to wash up and clean after themselves, and she did apologize and explain she'd been having issues with her cleaner, but we really feel we shouldn't have had to clean/wash facilities before we could use them. Also the shower curtain pole kept falling down - once on my head and once on my sons head whilst showering. It is not fixed to the wall permanently, but fixed with spring action and pressure. Whilst we took great care not to pull on the shower curtain, inevitably it still came down at least 6 times during our stay, the bath was only big enough for my daughter to comfortably bath in as it's quite small so getting washed etc after beach days was tricky. The heat alarm is placed very close to oven in the kitchen which meant every time you open the oven door it went off... and continued to go off for ages despite waving t-towels under neath it and the back door and kitchen window being open, not to mention it smoked a lot when used due to it not being cleaned so cooking wasn't really an option, because of this we ended up eating out more than we ate in, increasing our spending considerably! If it hadn't been for the poor cleanliness of the kitchen and it's appliances and utensils we would have been very happy with our stay. The bungalow is well situated, comfortable and well equipped. We would however make suggestions of fixing the shower curtain pole, installing a dishwasher to ensure all crockery and cutlery can be washed well between rentals, and a tumble dryer would have been very useful for getting clothes/beach towels etc dry when weather not great, I struggled to get beach towels dry between use, due to the weather in Cornwall there are often showers, low cloud and damp atmosphere so even putting towels out on the line didn't dry them." 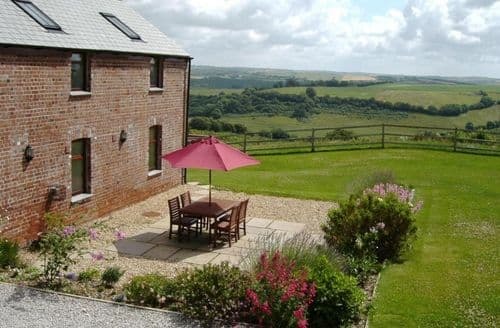 "Excellent holiday property in these quiet country house hotel grounds. 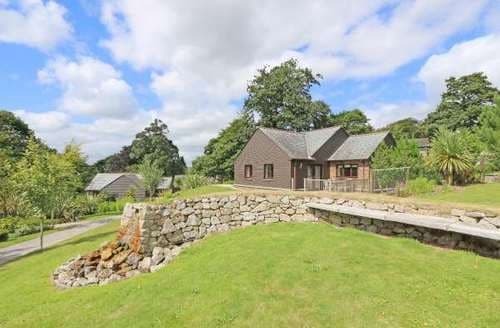 Very well appointed lodge type property with hotel standard bathrooms and fittings throughout. Bed linen and towels also new and hotel quality. Preparation was excellent, extremely clean, all basics provided (toilet rolls, dishwasher tablets, bin bags, etc) flowers and ingredients for a Cornish cream tea awaiting us. The overall impression on arrival is very impressive. 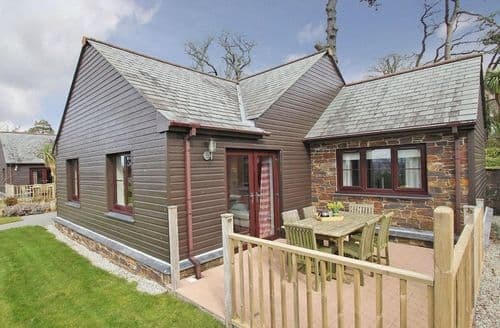 The lodge is comfortable, one double and one twin bedroom, both with bathrooms with bath and showers. Well equipped kitchen with oven, microwave, dishwasher. The hotel amenities are very good, the smallish indoor pool and gym are welcome, as is the opportunity to dine at the hotel, if required. We didn’t so can’t comment on the food. 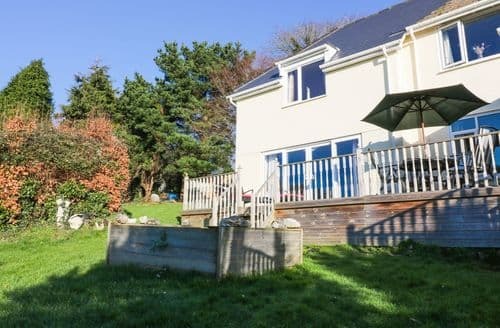 Only one or two tiny niggles, hardly worth mentioning, but for the sake of the owners who might want to address them...it’s misleading in the description to say the lodge has a sea view. There is a glimpse of the sea in the far distance between the two roofs of the lodges in front of this one. 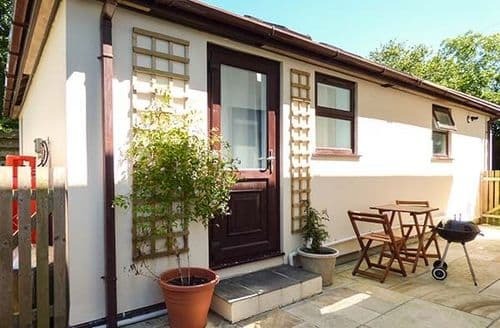 The surrounding gardens however are delightful and well maintained and provide a calm and attractive setting for the lodges. There is no free WiFi provided in the lodge, unless you sign up with the hotel at £10 for the week. These days free WiFi should always be included, it’s just a hassle to have to arrange it, and it took us two days to realise this too, the information about it being buried in the information booklet. The microwave has partly given up the ghost, the turntable doesn’t turn anymore. None of these issues however detracts from this lodge providing a perfect base for exploring the area, and it does so with some considerable style. 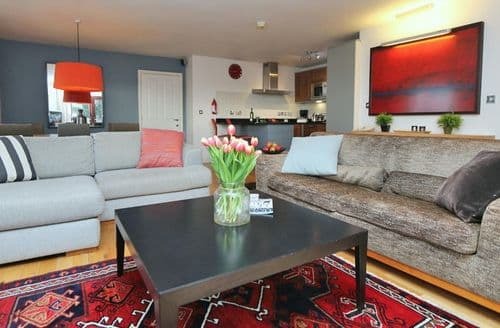 It is ideal accommodation for four people, comfortable, clean and well equipped. I wouldn’t hesitate to recommend it." 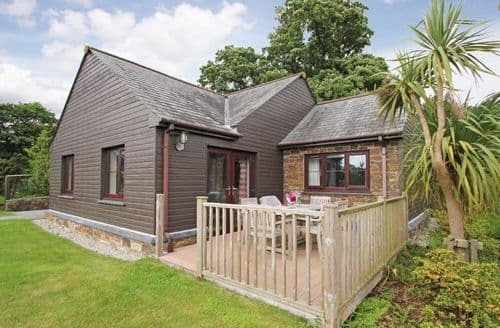 "Very well appointed lodge type property with hotel standard bathrooms and fittings throughout. Bed linen and towels also new and hotel quality. Preparation was excellent, extremely clean, all basics provided (toilet rolls, dishwasher tablets, bin bags, etc) flowers and ingredients for a Cornish cream tea awaiting us. The overall impression on arrival is very impressive. The lodge is comfortable, one double and one twin bedroom, both with bathrooms with bath and showers. Well equipped kitchen with oven, microwave, dishwasher. The hotel amenities are very good, the smallish indoor pool and gym are welcome, as is the opportunity to dine at the hotel, if required. We didn’t so can’t comment on the food. 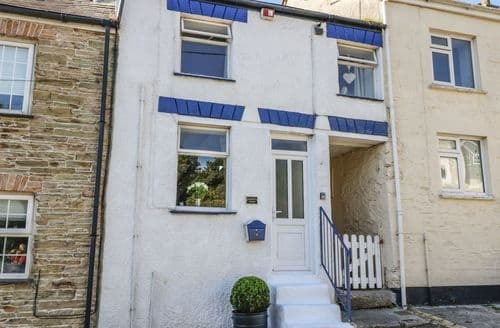 Only one or two tiny niggles, hardly worth mentioning, but for the sake of the owners who might want to address them...it’s misleading in the description to say the lodge has a sea view. There is a glimpse of the sea in the far distance between the two roofs of the lodges in front of this one. The surrounding gardens however are delightful and well maintained and provide a calm and attractive setting for the lodges. There is no free WiFi provided in the lodge, unless you sign up with the hotel at £10 for the week. These days free WiFi should always be included, it’s just a hassle to have to arrange it, and it took us two days to realise this too, the information about it being buried in the information booklet. The microwave has partly given up the ghost, the turntable doesn’t turn anymore. 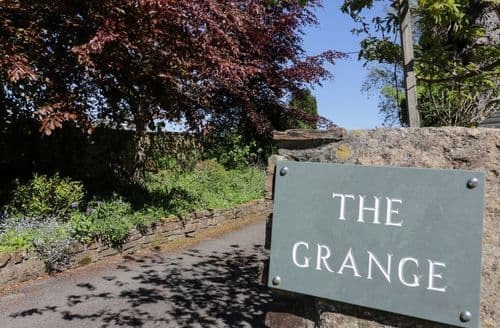 None of these issues however detracts from this lodge providing a perfect base for exploring the area, and it does so with some considerable style. 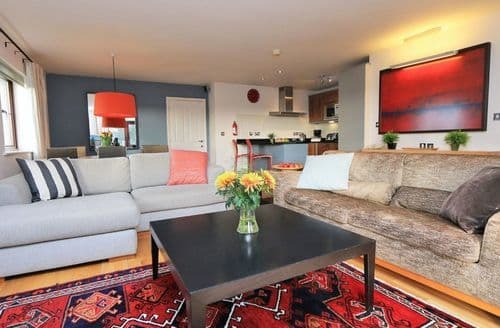 It is ideal accommodation for four people, comfortable, clean and well equipped. I wouldn’t hesitate to recommend it." "The view from the patio window is lovely which we enjoyed with a drink on the decking. Dave and Andrea couldn't have been more helpful. A special place to spend a holiday.Very well equipped & comfortable. Lovely views from lounge and decked area.David and his wife were lovely - gave us a warm welcome and showed us around, explaining what and where things were in the house. They also gave us help about places to visit. They made us feelat home.Close to the Eden project and other interesting places. The house is beautifully presented, quite luxurious, extremely well equipped and so very comfortable to stay in. 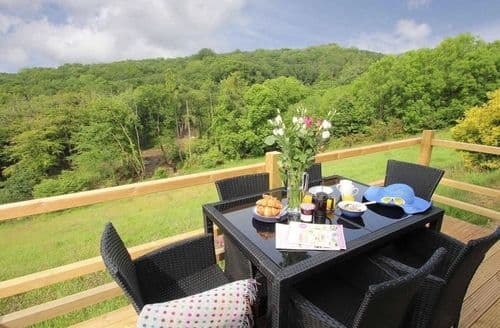 We couldn't wait to return in the evening to eat on the patio or in the open plan living kitchen area and appreciate the peace and quiet and lovely view across the valley before relaxing on the large sofa looking out of the patio windows. When it was too dark to enjoy the view there were dvds and books to enjoy. 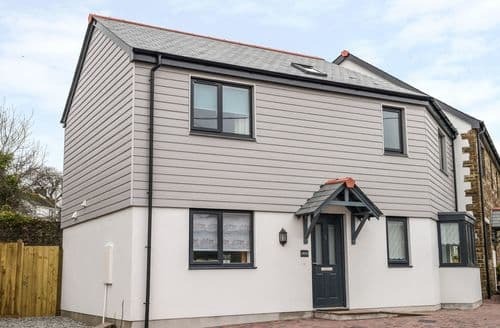 The owners Andrea and Dave have thought of everything you may need when kitting this house out for adults and children ( over 10) to enjoy a great holiday. They were so warm and welcoming on arrival. There was a gift of homemade scones ,homemade jam and cornish clotted cream , milk, tea , coffee and biscuits left for us to enjoy as soon as we arrived. Andrea and Dave are next door and so were on hand with smiles and advice if necessary but we never felt that they were intrusive . 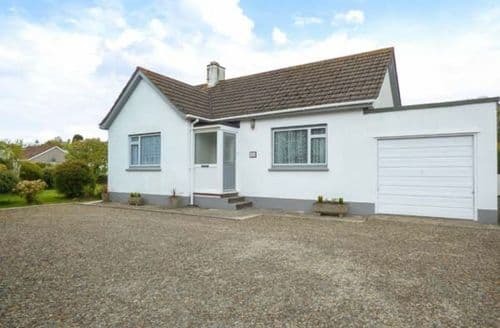 We will certainly return on our next visit to the area and only wish it was a shorter drive from home!"